Rae & Chilly are carp fishing at Hollybush Lake, Rae fishes the River Deveron for salmon and Bob James fishes the Wye for chub & barbel. Duncan Charman gives some tips on using pellets and Dave Barham is out with the British Conger Club. 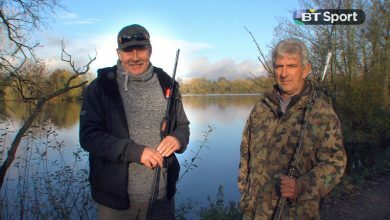 Chilly meets up with Des Taylor on the glorious River Severn whilst Rae Borras travels to the wilds of Iceland for salmon. 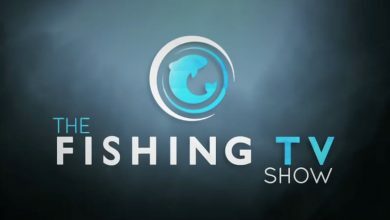 In Top Spot this episode Dave Springall visits Braxted Lakes catching his first english 40 whilst Adam Penning gives you some tips on winter baiting. A thornback ray makes an apearance for Jansen and Julian. Trout is the quarry for Chilly and Rae is at one of Englands finest - Avington Trout Fishery in Hamshire. 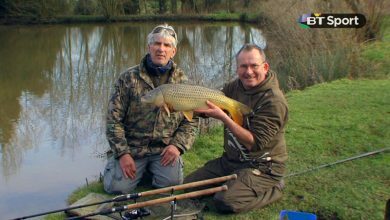 Ian Russell is after carp with a pot of maggots whilst Dave Barham fishes off the Needles for cod. In Total Coarse Fishing we go fishing for barbel and in Top Spot we visit Anglers Paradise for carp. Jansen Teakle and Rae fish for bass in Dorset whilst Chilly catches carp from the River Ebro in Spain. 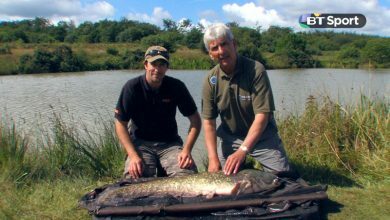 Steve Collett’s gives you some top tips on plumbing and Nick Hart fishes small stillwaters. 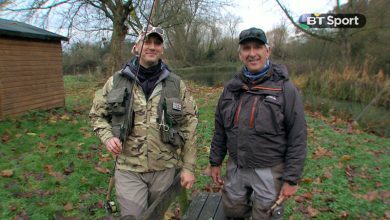 Fishing TV then catches up with Duncan Charman who is trotting the Itchen for Grayling. Chilly and Adam Penning visit The Quarry in Essex after carp. Steve Cullen fishes Busheyleaze for trout whilst Des Taylor opens his river box. John Watson boat fishes for pike and Julian Shambrook and Jansen Teakle fish for plaice at Chesil Beach. Rae & Julian Chidgey fish Anglers Paradise for catfish. Chilly winter fishes for carp. Steve Cullen’s gives us some excellent tips for long tailed lures. Mark Barrett fishes for pike in Norway and Jim Whippy tries some poppers for bass. Chilly and Chris Yates fish a secret lake for tench and crucian carp. Ian Russell goes surface fishing for carp whilst Rae helps Emma Pickering catch her first salmon. Barney Wright’s features in our 'Top Tip' feature. Rae and Ian Chilcott dig out their pike gear and head over to Wraysbury lake near London where the pairs roaming approach with lures and dead baits proves a success. 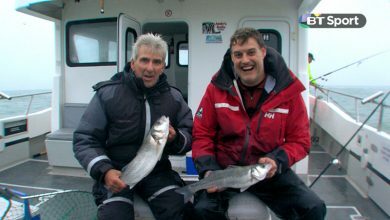 Rae meets up with Dave Barham and Jim Midgley aboard Shaun Heath's boat Great White II for some winter bass fishing on lures. John Bailey goes fishing for winter chub on the Wensum and Chilly gets on a train to Abbey lakes in France and uses a high tech bait boat. Chilly and Ian Russell fish at Farlows Lake and share their advice on targeting cold water carp. Steve Towson goes in search of Zambezi tigerfish. 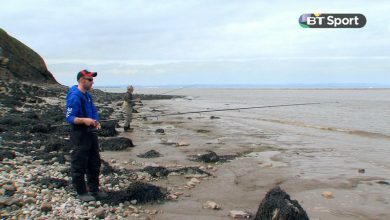 A look at salmon fishing on the Dee and top bait tips from Des Taylor and Dave Barham. Rae Borras and Steve Cullen fish Hampshire's river Anton for grayling whilst Ian Chillcott swaps his fixed spool reels for centrepins as he targets river carp. 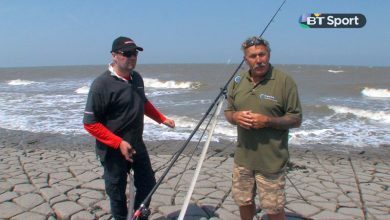 David Chidzoy has some handy beach casting tips and Duncan Charman shows us his techniques for big summer eels. 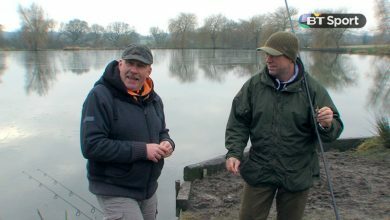 Chilly meets up with Jerry Hammond to do some winter carp fishing with zig rigs, however Jerry hooks into a catfish! Rae Borras is Salmon fishing on the Tay whilst Des Taylor is after winter chub on the Severn. 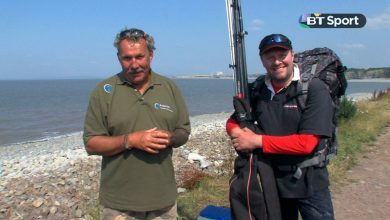 Duncan Charman and Rae Borras target big roach at Mill Farm, whilst Dave Barham and Jim Midgley catch smoothhound off of Anglesey. Ian Chillcott meets up with David Burgess at the Royalty Fishery on the Hamshire Avon where he fishes for carp but catches a 10lb+ Barbel! 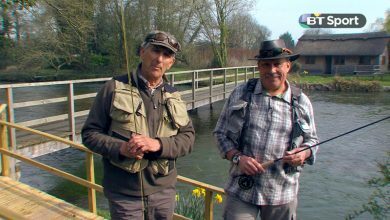 Ian Chillcott joins Rae Borras for a spot of trout fishing in the crystal clear, chalk stream fed Avington trout fisheries in Hampshire. 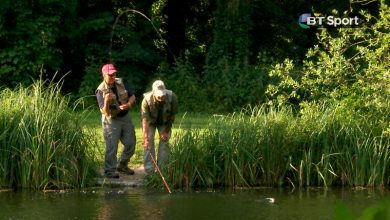 Des Taylor visits a marina and goes drop shotting for canal perch whilst Adam Penning features in the quick tip section. Chilly has a red letter day at a carp fishery in Essex and Dave Barham is catching some live baits with an interesting story to tell about the live well on board the days charter. Rae Borras takes Ian Chillcott for a days trout fishing on the famous River Test in Hampshire. Adam Penning talks about short session success for bigger carp whilst fishing at The Quarry in Essex. 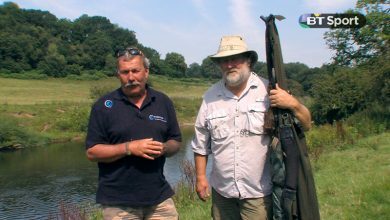 Duncan Charman features in the Did You Know with some early season tench fishing. Barbel are on the cards as Des Taylor enjoys an early morning start on a misty River Severn. A fish for all seasons? 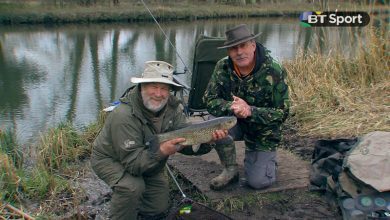 Ian Chillcott joins Des Taylor for a days chub fishing on the River Test in Hampshire. Jerry Hammond is targeting carp in amongst the lilies on a beautiful summers day. 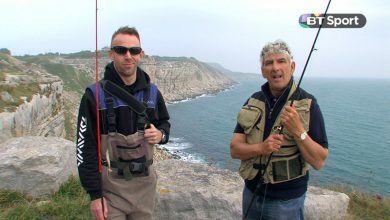 Dave Barham features in Quick Tips and talks through grip leads for up-tiding off a boat at sea. Nick Hart is after budget price salmon on a small clear water river in the south of England. 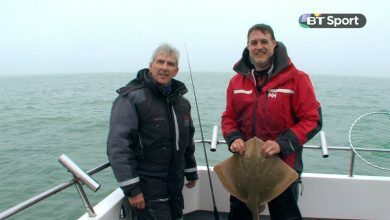 Rae Borras joins Dave Barham on-board Shaun Heaths Great White charter out of Langstone Harbour in search of blonde rays. 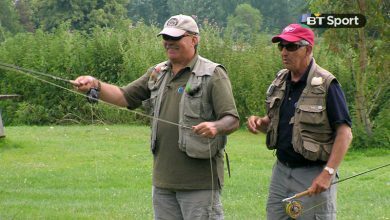 Ian Chillcott gets off to a bad start having to put up with other watersport users whilst targeting river carp on the Warwickshire Avon. Duncan Charman is stalking Barbel. Joe Turnball says 'baits don’t have to be round’. Ian Chillcott and Chris Yates visit Jason White ‘fishing tackle restorer’ to pick up a cane landing net for Chris and a rod for Ian to borrow. Ian Chillcott and Adam Penning are short day session fishing for carp at Blasford Hill Fishery in Chelmsford. Julian Chidgey is in Falmouth Bay fishing over ‘The Manacles’ onboard Austen Goldsmiths Zen2 after bass on light lure tactics over 35 to 65ft of water. Rob Wooton features in Quick Tips. Duncan Charman is targeting big roach and shows you how to maximise feeding times and how to make the most from a swim. Rae Borras pairs up with England International Scott Nellins to catch stillwater trout at Vale End Fishery. Des Taylor takes us float fishing for tench and shows us how to identify bites from liners. Ian Chillcott quotes Richard Walker ‘one hour in the right place is worth five in the wrong’ and gets mobile in his pursuit of carp. Chilly finds a likely looking spot to set his carp traps. Jansen Teakle features in Quick Tips. 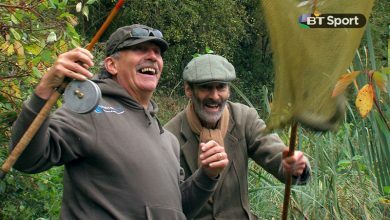 Rae Borras and Ian Chillcott go stalking for carp at Par Fisheries in Essex. Steve Townsend is out with his guide George on the Lower Zambezi river. 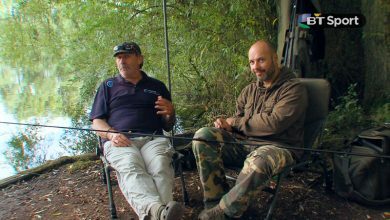 In ‘Quick Tips’ Duncan Charman reveals a super bait that picks out the bigger carp. Dave Barham jumps on-board Jeff Clarkes The Duchess II out of Weymouth Marina. Des Taylor goes in search of carp at The Monument in Shropshire.